Members at the 1757 Golf Club were stunned to see an alleged drunken driver careening down the fairway of the Par 4 17th hole, early Wednesday evening. STERLING, Va. — Driver in golf bag? Good. Driver on golf course in the bag? Bad. “People were trying to flag him down,” said a man, who asked to remain anonymous, who was on the course at the time. 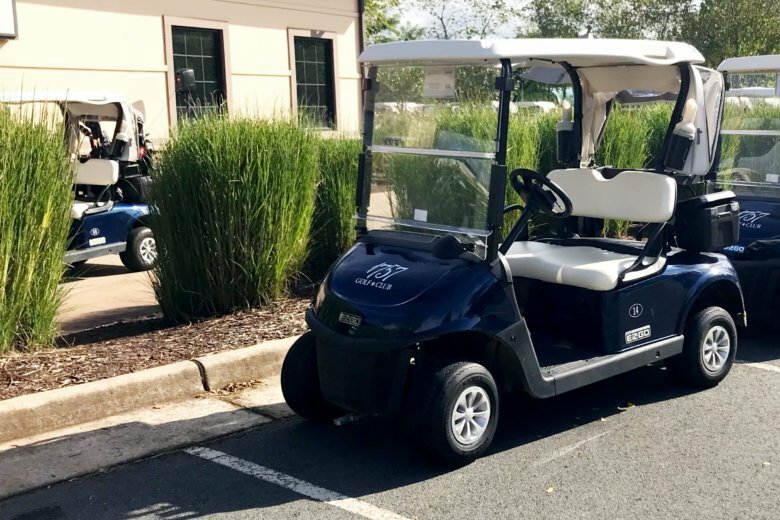 The driver hadn’t been playing on the course or eating and drinking in the golf club’s restaurant, but was seen driving on the western part of the course, which is bordered by Loudoun County Parkway. According to the witness, the driver didn’t stop until he tried to cross a slippery wooden bridge and crashed. “He said he’d been drinking,” said the witness. Loudoun County Sheriff’s Office charged 33-year-old Christopher Luedtke of Fredericksburg with driving while intoxicated for the second time within 10 years, and possession of marijuana. He’s now free on bond. According to online court records, Luedtke had several earlier arrests for speeding, reckless driving, and driving on a suspended license.